During a midlife crisis in 1985 Al Grover decided to cross the Atlantic in a Groverbuilt 26, an outboard-powered skiff of the kind that he designed and built. 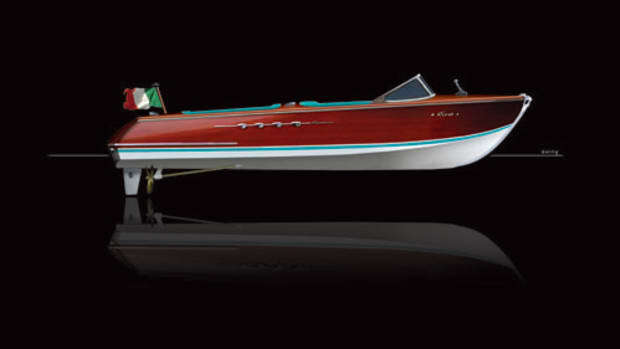 The voyage was motivated by Grover’s desire to do something different and gain attention for his marina and boatbuilding business in Freeport, New York. He had sold 130 Groverbuilts in the 1970s and early 1980s. Al Grover Jr. began the voyage with his father; another son, Dante, replaced his brother when Transatlantic reached the Azores. The voyage was far from comfortable — for instance, the 26-foot boat endured a nor’easter that swept over the Grand Banks and produced 20-foot seas and 40-knot winds. This Soundings article has more about the journey.